For the last ten years the art world has been rocked on a regular basis by forgery scandals, and in nearly all cases, the forgeries could only be identified with the use of scientific analysis. Dr. Taylor founded his laboratory on the campus of the State University of New York (SUNY), Purchase College to serve as both an educational and research facility, but also to assist the wider New York Art World with affordable testing services available to public collections, the Trade, and private collectors. The laboratory functioned in collaboration with Thiago Piwowarczyk and his firm Interface Institute. In 2016 Taylor and Piwowarcyck became partners in New York Art Forensics, and moved the laboratory to the Williamsburg area of Brooklyn in order to be more accessable to the art trade. The facility provides a full-range of testing equipment necessary to make evaluations of age and authenticity. In addition they maintain a research and educational facility at the criminal forensics laboratory at Pace University in Manhattan. The laboratory is equipped with a multi-spectral imaging camera capable to photographing the Ultra-Violet and Infrared Spectrum. These techniques are necessary for spotting restorations and under-drawing and pentimenti. X-ray Fluorescence is a valuable new tool capable of making elemental analysis in seconds in a non-destructive manner. The laboratory is equipped with the latest model of Oxford Instruments MET-7500 . 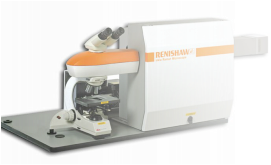 Raman Spectroscopy has proven vital to making molecular analysis of materials, which is essential for post-War synthetic organic pigments. Raman molecular analysis is crucial for making court-viable forensic evidence.